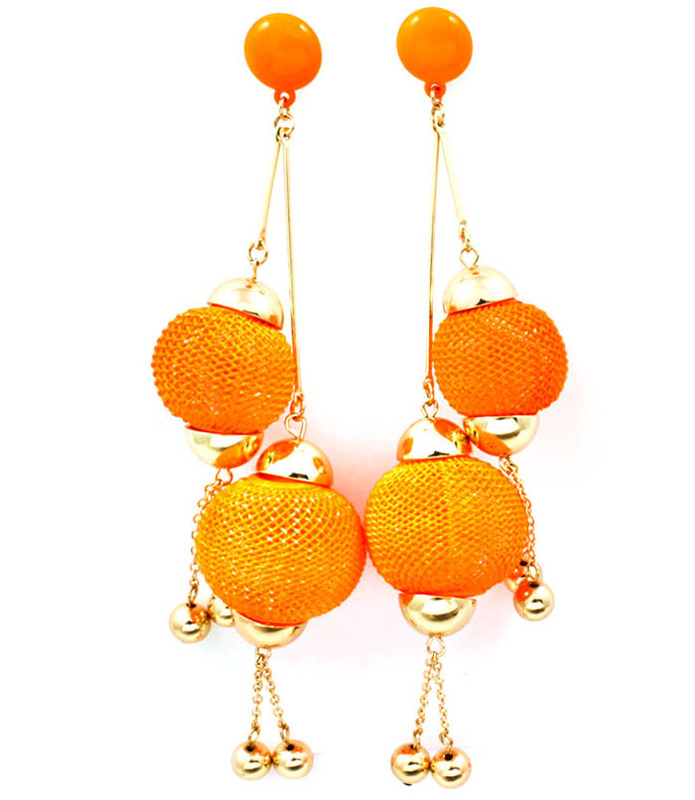 The Coby Earrings feature two citrus mesh ball beads that fall long and gracefully from your lobes. Oversized and statement making for long Summer days and sultry, palm tree nights. Purchase a pair of our meshball earrings and other jewellery to qualify for a free bonus bling gift.